When it comes to anxiety, many people wishing to take the load off of their minds are looking for new ways to help relieve the stress of everyday life. Whilst there are prescription drugs available for those looking for a way to help their anxiety levels, many more people are searching for natural and alternative methods to help ease their symptoms and rely less on often harmful chemicals that are found in prescription drugs. With a new wave of herbal therapies, physical and mental relaxation techniques, many are finding success in relieving anxiety on new levels. You can find positive outcomes in many herbal remedies such as chamomile tea to help sooth your evenings and nights. With its all-natural compounds that are similar in nature to Valium, chamomile is also available in many dietary supplements so you can take it on the go. Many studies have shown that people who suffer from generalised anxiety disorders showed dramatically positive outcomes from taking chamomile supplements than those patients in the studies taking the placebos. Another part of alternative therapies that many people may not be aware of are the many mind tools that can be used to help relieve stress and anxiety. Considering these problems arise in the mind and are not often associated with any physical manifestations, hypnosis is yet another tool in the alternative therapy armoury that can help reduce and even cure the symptoms. With many self-hypnosis audio courses, these packs are designed to slowly ease you into a higher state of consciousness and allow for the levels of anxiety and stress to cede. Whilst many relaxation audio tapes allow you to achieve a level of relaxation that can help with the symptoms of stress and anxiety, hypnosis sessions will allow you to retrain your mind and body to move beyond being stressed. By being able to take these MP3s with you on a portable device, you can listen to the relaxing sounds of theta rhythms and beneficial frequencies to put you in a higher state of relaxation. Hypnosis offers you the chance to be transported to a place of tranquillity and allow your mind and body to become balanced, helping to relieve your stress. The range of Rick Collinwood’s Self Hypnosis CDs available at BeEnchanted offers you a great choice when it comes to the power of hypnotism. 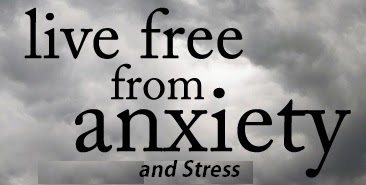 With dedicated sessions on stress management, dealing with stress and anxiety as well as bonus sessions on insomnia, over thinking, over analysing and problems relaxing, the range offers listeners empowerment of controlling their emotions and helping to induce peace and relaxation into everyday life. With so many different chemical drugs on the market, it is little wonder why so many people are choosing to go herbal and alternative when seeking a solution. From herbal teas and vitamin supplements to stress relieving jewels, massages and hypnotherapy sessions; the wide range of choice when it comes to picking the right therapy for you has never been greater. Alternative therapy allows you to achieve a deeper meaning behind your physical wellbeing and allows you to go beyond the limits of traditional medicine in more ways than one.